Adrian “Addie” Joss was a star pitcher for the Cleveland Naps until his untimely death. He led the American League in Earned Run Average twice, in wins once and produced a .623 winning percentage. He also pitched a no-hitter. John Montgomery “Monte” Ward arrived in the as a pitcher. He pitched a no-hitter and led the National League in Earned Run Average as a rookie. The next season he led the league in both wins and strikeouts. Switching to the infield he became a superior shortstop. Later, he served as a manager and executive. 1. I was surprised how much Joss was admired in the era. There is almost universally positive press after his death. Much of that is to be expected, but to me it seemed to go deeper than just saying the standard “he was a hail fellow, well met” type of fluff that usually shows up in eulogies (and hopefully my own will have some kind things to say). I decided that the outpouring of good will would have probably gotten him an exemption to the five-year rule and he might have been elected to a 1910 Hall of Fame very easily. He seems to have been not only a quality pitcher, but genuinely admired. I’m not sure, if I were a voter in the period when Joss was elected, I would have voted for him, but Joss is one of those guys that I’m fairly sure would make an early Hall of Fame, but am not so sure he’d get into a later one (remember, it was very late when he made the real Hall). 2. Say, didn’t you forget something about Ward? Something about a union, maybe? Nope. I purposefully left out the Brotherhood. In the stuff I found on Ward there tended to be a great separation between how contemporaries saw him as a ballplayer and how they saw him as a rabble rousing union organizer (and the idea of Ward as a “rabble rouser” is a bit absurd to start with). It’s an age in which labor unions are not well liked (to put it mildly–you should read some of the comments on them), but Ward seems to have found a niche that set the union at a different level from his playing, managing, and executive work. Some of you might remember that he owned the Giants (co-owner), but that was later. Also his Federal League work hadn’t occurred yet. It seems to me that there is a short period of time in which Ward might have been elected to an existing Hall of Fame, after the Brotherhood memory had begun to fade and before he began to have trouble as an owner and assisted in forming the Federal League. I took advantage of that to put in a man who truly deserves to be in the Hall of Fame. 3. Something interesting I found is that ERA isn’t all that well-known in 1911 and when it is it is frequently spelled out (Earned Run Average) rather than abbreviated (ERA). So I did it that way for this post. My guess is that spelling it out helped explain it to people who’d never heard of it (that’s a guess). 4. I could find nothing referring to a perfect game as a “perfect game.” No hitter” showed up, so I decided to err on the side of caution and use no-hitter for this. I may have missed the first reference, so don’t take it to the bank that “perfect game” didn’t show up until after 1910. Other comments to follow. These will be more in the nature of a look back at a year of doing this. 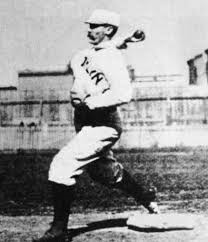 When I was researching the 1911 season for the two short posts I did earlier this week, I ran across the pitcher Vean Gregg who won the American League ERA title in 1911. I’d never heard of him, so I did a little looking around. Here’s what I found out about an interesting and truly obscure player. Sylveanus Gregg was born in Washington Territory (now the state of Washington) in 1885. The nickname “Vean” comes from the middle letters of his first name (and I think is pronounced to rhyme with “peon”, but it could rhyme with “pe-can”, like the nut). His dad was a farmer and plasterer and the son learned both professions, apparently becoming quite adept at the plastering. It strengthened his arm greatly, and he had one of those rare items that baseball loves, a left arm that could control a baseball in flight. Gregg pitched semi-pro ball, had a stint at South Dakota State, and eventually ended up with the Cleveland Naps (now the Indians). He found he could make more money barnstorming on the weekends and plastering during the week than he could make in professional baseball, so waited until 1908 to take the contract with a minor league team (Can you imagine that kind of salary structure today?). He spent two seasons in the minors, then was picked up by Cleveland. He refused the money and stayed one more year in the local Washington state minors, where he said he could make more money. 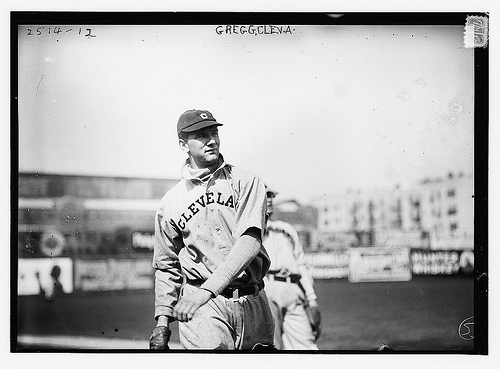 Finally in 1911 went to Cleveland as a left-handed starter. Although he was left-handed, he was essentially the replacement for Addie Joss. Gregg did well replacing the Hall of Famer. He went 23-7, won the ERA title as a rookie, struck out 125 men, and had a lot more innings pitched than hits allowed (a league leading WHIP of 1.054). It was his best year. He as 20-13 in both 1912 and 1913 with ERA’s in the twos, then developed a sore arm. 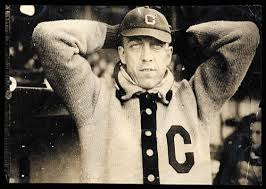 He started 1914 with Cleveland, went 9-3 with an ERA over three, and was traded to the Red Sox. 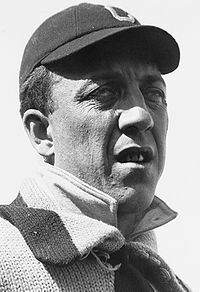 He finished 3-4 in Boston with an ERA of almost four, then managed only 39 games over 1915 and 1916. He spent 1917 in the minors (Providence), then played 1918 in Philadelphia for the rebuilding Athletics. He went 9-14 and retired to a ranch in Canada he bought with his baseball salary. He stayed there through 1921. He returned to baseball, joining Pacific Coast League Seattle and had three terrific seasons. In 1925, at age 40, he was sold to Washington where he went 2-2 with a 4.12 ERA in 26 games (only five starts). He missed the 1925 World Series (which Washington lost), then left the Major Leagues for good. He played minor league baseball off and on through 1931, then retired to run an “Emporium” in Hoquiam, Washington. The business had a lunch counter and sold both sporting goods and cigars. He died in July 1964. He was elected to the Pacific Coast League Hall of Fame, the Washington State Sports Hall of Fame, and in 1969 was chosen by fans the greatest Indians left-hander (which may say more about Cleveland pitching than about Gregg). For his career, Gregg ended up 92-63 (a .594 winning percentage) over 1393 innings and 239 games (about six innings per game). Struck out 720 batters, walked 552, and gave up 1240 hits (for a WHIP of 1.286). 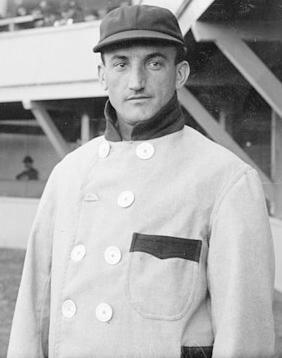 Although three of his teams, the 1915 and 1916 Red Sox and the 1925 Senators went to the World Series, Gregg never appeared in a Series game. There are a lot of pitchers like Gregg. They are early phenoms who develop arm trouble early and end up with short but flashy careers that end up appearing disappointing. It seems to be especially true of southpaws. Mark Prior, although not a lefty, is a modern version of the type. There are lots of others in the history of the game. With an ERA title in his rookie season, Gregg could easily be a poster child for the type. The 1910 Cleveland team is one of the more interesting failures in the American League. It has several first line players (four made it to the Hall of Fame), but not enough to make it into the first division. Ultimately the Naps finished 71-81, 32 games back in manager Deacon McGuire’s first full season. He didn’t get a second, being fired 17 games into 1911. Cleveland’s hitting numbers reveal that they probably finished where they should . They rank fifth in almost all major categories like hitting slugging, runs, and RBIs. The problem is that the stats are uneven across the starters. Second baseman Napoleon LaJoie hit .383, slugged .520, led the league in hits doubles, and in some sources the .383 won the batting title (Other sources give the title to Ty Cobb). Those are great numbers, but now look at the third baseman, Bill Bradley. Bradley hit .196, slugged all of .210, had 12 RBIs and 42 hits. It’s true he played only 61 games, but those kinds of numbers are typical of what’s wrong with Cleveland’s hitting. LaJoie is great, catcher Ted Easterly didn’t do bad, but the rest of the starters were nothing special. Other than LaJoie and Easterly, only first baseman George Stovall managed to hit .250. The bench is equally bad. Of the 10 players appearing in 2o or more games, only Joe Jackson (who plays in exactly 20 games) managed to hit .300 (.387) and Hall of Famer Elmer Flick in his final season managed .265 in 24 games. The rest of the bench gives the team nothing. The pitching is disappointing. A staff of Cy Young, Addie Joss, and Cy Falkenberg should have been pretty good. But Joss managed only 13 games (and never came back, dying the next season). Young was 43 and although winning his 500th game during the year, managed only a 7-10 record. That left Falkenberg as the ace. There’s a reason you’ve never heard of him. As an “ace” he left a lot to be desired. He was 14-13, had an ERA of 2.94, and managed 107 strikeouts to 75 walks. Respectable numbers, maybe, but not “ace”-like. Cleveland looks like a team ready to make a few strides in 1911 (and it will rise to third), but it is a deeply flawed team. LaJoie is 35, Joss is ill (and, as stated above, will not return), Flick retired, and Young is old at 45 (and was traded after seven starts in 1911). On the other hand Joe Jackson is starting to embark on a great career, George Stovall is pretty good sometimes and Easterly is a decent catcher. The year 1911 turned out to be interesting for Cleveland. The end of 1910 gave some indication of that. Well, baseball has its doomed youth also. Addie Joss died young, so did Jimmie Sebring. Herb Score didn’t die, but he was hurt so bad that his career ended prematurely. Those are the kinds of situations that baseball brings to the doomed youth scenario. For the sport, there are two premier figures that moved into myth this way. Lou Gehrig is much the more tragic because he actually did die. Much of the tragedy of Gehrig is that it was his body, the very thing on which is fame and glory rested, that let him down. He is struck down at the height of that fame and glory. And in the midst of this tragedy he goes to his doom with grace and dignity. It helps his legend that he plays for the most famous team (the Yankees) on the biggest stage (New York) and is one of the handful of players who define the team. The other more recent player who fits this mold is Sandy Koufax. Koufax’s story is less tragic because he lives. His problem is an arthritic elbow, not a deadly problem, but certainly a career ending condition. Again, at the top of his form and fame he is forced off the stage. There is of course a difference, the decision is voluntary. And here you have a variation on the doomed youth theme in that the youth voluntarily steps off the stage, but also does it with great dignity. As I said on the introductory post, these are not going to be exact copies of myths because they involve real people. Koufax, like Gehrig, is also helped by playing for one of the more famous teams (the Dodgers) in baseball and by playing on one of its biggest stages (Los Angeles). In fairness, it’s not all about the doomed youth. Both men played for famous franchises and were spectacular players. That can’t be overlooked. But in my opinion that isn’t the only reason they remain staples of baseball’s pantheon. Another part of the reason is the loss so soon of such great talent. So in some ways both men become legends for what we lost as much as for what they actually accomplished. That’s part of the whole idea of losing a young talented leader, of a doomed youth. Today, 20 April 2010, marks the 100th anniversary of Addie Joss’ second and final no-hitter. He threw it for Cleveland against Chicago and raised his record to 2-0 for the season. Later in the year he began suffering health problems, and sat out much of the season. Within a year of his last no-hitter, he was dead. It seems fitting to take today to remember him. He spent his entire career in Cleveland, which in the Deadball Era more or less guaranteed obscurity. The team didn’t do particularly well except occasionally, finishing as high as second in 1908. On his own team Joss was frequently overshadowed by his manager, Napoleon LaJoie. He was, however, the finest pitcher on the team. His rookie year was 1902. In his first game, he took a no-hitter into the sixth inning, gave up one single, and won the game 3-0. In 1904 he led the American League in ERA, in 1905 he saw 20 wins and repeated the 20 wins in 1906 and 1907, tying for the league lead in wins in ’07. Then came 1908. The year is mostly famous for the National League pennant race that included the “Merkle Game” and the replay of it. But the American League had a heck of a pennant race too. Detroit won by a half game. Cleveland and Joss finished second. Joss had 24 wins, a league leading ERA of 1.16, nine shutouts, and on 2 October threw a perfect game against Chicago (they finished third), besting 40 game winner Ed Walsh (who only gave up four hits and struck out 15 in the game). For the season Joss struck out 130. He was a control specialist, not a fireballer. He pitched in 42 games, starting 35. He gave up 42 earned runs and was on the mound for 35 unearned runs (1.2 earned runs for each unearned run). He walked only 30, meaning he gave up 1.4 runs for every walk (which is terrific). I love the unearned run stat. The fielding behind him was awful and he didn’t contribute to it by adding extra baserunners via the base on balls. For 42 earned runs (one per game) and 35 unearned runs he ended up with a 24-11 record. Tell me unearned runs don’t matter. He fell back in 1909. Apparently his illness was beginning to affect him. His ERA jumped to 1.70 (from 1.16 that’s a jump), he went 14-13, and ceded the Cleveland ace role to newly acquired Cy Young (OK, so almost nobody else is the ace if Young is around). He got back in 1910 but only made it into 13 games. One of those games was 100 years ago today. Again he faced Chicago. In the second inning Fred Parent, playing short for the White Stockings, hit a roller to Cleveland third baseman Bill Bradley. Bradley juggled the ball, and Parent was safe at first. The official scorer called it a hit. Sometime during the game, the scorer changed his mind and recorded the play as an error on Bradley. I’ve been unable to determine exactly when that occurred. If early, then it may have had no effect on the game, but if the scorer changed it in say the seventh inning or so, then he may have been purposefully aiding Joss in getting a no-hitter. Frankly, I just don’t know. I do know that Joss walked only two men and recorded 10 assists from the mound during the game. At the end of the day the score stood 1-0 Cleveland over Chicago and Joss had his second no-hitter. I looked it up and barring failing eyes that are worse than I think (and they may be) Joss is the only person to throw two no hitters against the same team and have identical scores (1-0 vs. Chicago). Joss had to sit out most of the season. He tried to come back in 1911 but collapsed on the field in Chattanooga, Tennessee. He died of tubercular meningitis on 14 April 1911, two days after opening day. His funeral was on the 17th and the Cleveland team, against the initial wishes of league president Ban Johnson, postponed their game to attend. Old-time player turned evangelist Billy Sunday preached the funeral. On 24 July an exhibition game between Cleveland and a team of American League All-Stars was held. The stars won 5-3, but the gate went to Joss’ family. It totalled $12, 914, a large sum for the era. Joss only played nine years, making him ineligible for the Hall of Fame. In 1978, the Veteran’s Committee waived the rule and elected him to the Hall. A handful of writers and baseball stat geeks said it was a mistake. They were wrong. For the first time since 1905, Cleveland began the season with a new manager. Napoleon LaJoie took over in 1905 and remained in charge until late in 1909, when old-time catcher Deacon McGuire was handed the job. It changed the team dynamic, it changed the team name (they were called the Naps in LaJoie’s honor), and it changed Lajoie’s game. For a team that had not done well in its ten-year history, including a sixth place finish 27.5 games back in 1909, Cleveland underwent very little change in the field for 1910. George Stovall stayed at first, LaJoie at second, and Bill Bradley at third. Terry Turner, the former backup middle infielder, took over at short. It wasn’t a particularly distinguished infield, except for LaJoie. Only LaJoie hit above .250 in 1909 and Bradley finished at .186. LaJoie had been on a downward spiral since taking over the managerial spot. There was some hope that released from those duties, he might return to the former player who won a triple crown in 1901, and batting titles on 1903 and ’04. Neal Ball and George Perring were the infield backups. Ball was the starting shortstop in ’09 and Perring was a holdover. The outfield saw two of three starters change. Joe Birmingham was a good fielding, decent hitting center fielder with little speed on the bases, a common trait in Cleveland,despite the prevailing strategy of the era. John Graney and Art Kruger were both new. Both had played a little for Cleveland in previous years (’08 for Graney and ’07 for Kruger), but were never regulars. Briscoe Lord remained the backup outfielder. It wasn’t a big hitting outfield and wasn’t a particular improvement over the 1909 version. Ted Easterly remained the backstop. He hit .261 the year before and shared time with backups Nig Clark, and Harry Bemis. 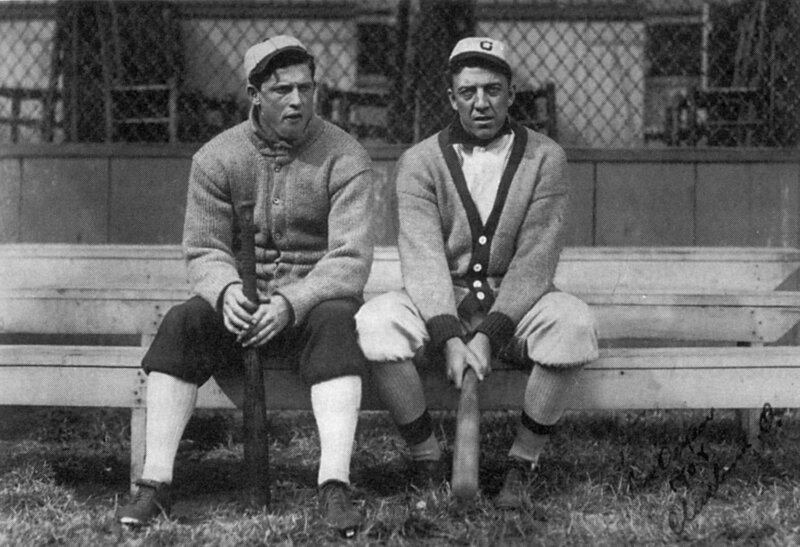 Both remained in 1910, but Clark ended up hurt and Grover Land became the third catcher. Easterly would have a good year with the bat. A real strength of the Cleveland team, if it had one, was its aging pitching staff. The problem was the “aging” part. Cy Young was 43 at the end of the 1909 season. Addie Joss, Bob Rhodes, and Cy Falkenberg were all 30. Among the starters, only Heinie Berger was under 30 (he was 27). For 1910 they kept all but Rhodes who disappears from major league rosters forever. They tried Willie Mitchell and Specs Harkness to fill in the gaps for age and loss. 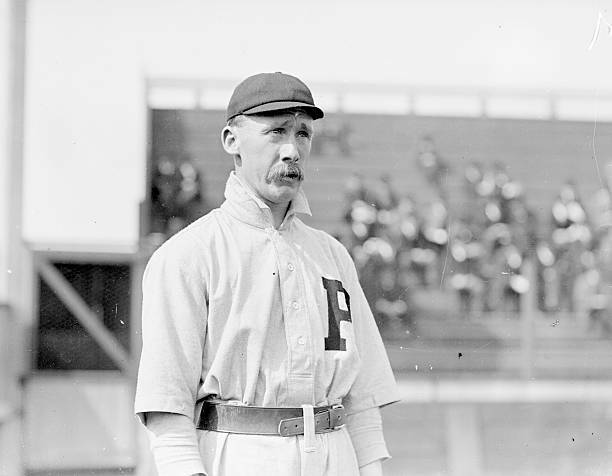 Mitchell pitched three games the year before and Harkness was a rookie. Cleveland is a difficult team to figure. There are spots where they are pretty good (second, catcher, specific pitchers), but there are spots where they lack quality (third, the corner outfield, other pitchers). It’s a team that could rise, but if anybody gets hurt, or anything goes wrong, they could be in trouble. Late in the year they will bring up a 20-year-old rookie outfielder named Joe Jackson. He looks to have some talent. Next: a break from the monotony of team-by-team to celebrate the accomplishments of Addie Joss. The 1908 season is most famous for the National League pennant race and the Merkle Game. but there was a heck of a race in the American League too. Three teams were in contention on the last day. After five months of solid baseball, the American League race came down to September and October. Detroit was in first place with St Louis (the Browns, not the Cardinals), Chicago, and Cleveland all bunched 2.5 games or less behind. By the 23rd, the date of the Merkle Game, St. Louis had fallen off, but the other 3 were still tightly bunched with Cleveland 2.5 games ahead. On the 25th, Detroit would begin a run that led to 10 consecutive wins against the A’s, Washington, and St. Louis. Then they dropped two in a row to the White Sox. Meanwhile the ChiSox and Cleveland had kept pace. On 2 October they met each other in one of the finest pitching duels ever. White Sox pitcher Ed Walsh, on his way to a 40 win season, struck out 15 and gave up a single run. 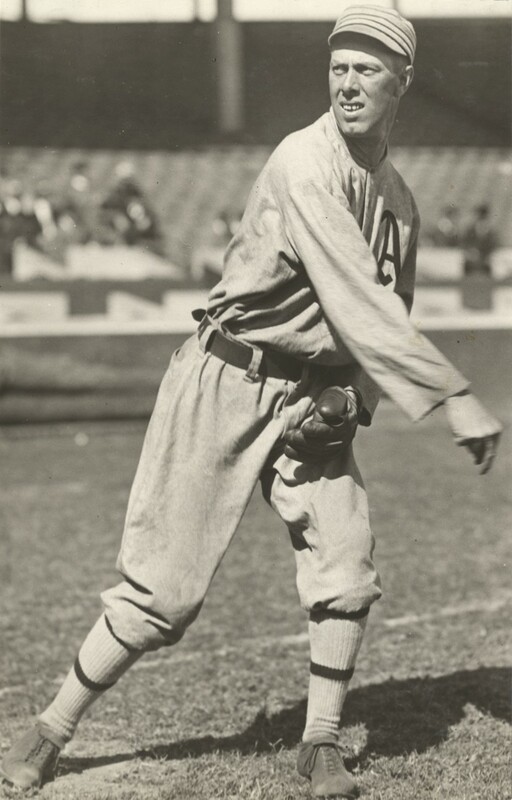 Addie Joss, the Naps hurler, was even better. He threw a perfect game. On an individual basis, Walsh ended the season 40-15 over 66 games (49 of them starts) and led the league with 269 strikeouts and 7 saves (a stat not yet invented). Joss’ 1.16 ERA topped the league. In hitting Ty Cobb won the batting, slugging, hits, doubles, triples, and RBI titles, while outfield teammate Wahoo Sam Crawford took the home run crown (in 1909 Cobb would complete the Triple Crown). The other Tigers outfielder, Matty McIntyre, led the league in runs scored , making it one of the more productive outfields ever. Chicago’s Patsy Dougherty led in steals with 47. Over the years the American League race has been obscured by the National League. That’s a great shame because it was equally sensational. There just wasn’t one game and one incident that turned the season quite so dramatically as Fred Merkle’s dash toward second.